This collection of Quick Hitters all start in a 2-3 High Post set. Each play is included because of unique scoring opportunities that it presents. These Quick Hitters will be a great benefit to your team whether you use the 2-3 High Post Offense or not. This could be the unique set of plays that you need to get to the next level. This entry was posted in BOOKS, Quick Hitters and tagged basketball quick hitters, coaching basketball on June 5, 2014 by admin. This book is loaded with shooting drills. Just “standing and shooting” is not going to improve your shot unless all you do is “stand and shoot” in the game. And we all know that is not how the game is played today. Gain the edge on your opponent with over fifty pages of time-tested shooting drills. This entry was posted in BOOKS, Drills, Shooting and tagged basketball drills, basketball shooting, coaching basketball on June 4, 2014 by admin. Over 100 Quick Hitters to choose from. When you are in the huddle and time is running down, that is the time this book was written for. You can’t make the shot for them but you can give your team a chance to win and they deserve that! This entry was posted in BOOKS, Quick Hitters and tagged basketball quick hitters, coaching basketball on June 3, 2014 by admin. This entry was posted in BOOKS, Inspiration, Motivation and tagged coaching basketball, motivation on June 2, 2014 by admin. Never worry about attacking full court presses again. An indepth look at attacking both full and half court zone presses. Plus 10 proven Zone Press Attacks and a dynamite Man Press Attack. All diagramed and fully explained. And you also receive 13 successful ways to inbound the basketball versus denial pressure. All offenses and inbounding techniques can be used at any level to successfully destroy pressure defense. This entry was posted in BOOKS, Press Offense and tagged basketball press offense, coaching basketball on June 1, 2014 by admin. 158 Pages Loaded with Defense & Diagrams. It is loaded with teaching aids, philosophy, drills and all cross-referenced and re-referenced. It has a practice planner for a regular season and one if you only have a short time to prepare for the season. Very In-depth coverage of “PREDATOR MAN-to-MAN DEFENSE”. This entry was posted in BOOKS, Defense, Drills, Man-toMan Defense and tagged basketball defense, coaching basketball on May 31, 2014 by admin. 30 Great Man-to-Man offenses to choose from. Offenses are explained in DETAIL using diagrams and text! The “X” Continuity Offense, The 1-4, The High Post, Unique Offenses to fit your team, etc. This entry was posted in BOOKS, Man-to-Man Offense and tagged basketball offense, coaching basketball on May 30, 2014 by admin. A great source for Man-to-Man Defensive Drills. If you want to play fundamentally sound hard-nosed defense, there is only one secret. Work, work, work and more work. What kind of work? DRILL WORK!!! You must put the defensive player into a situation as many times as possible in practice so his reaction will become natural during the game. There is only one way to do that and it is through Defensive Drills. This entry was posted in BOOKS, Defense, Drills, Man-toMan Defense and tagged basketball defense, coaching basketball, man to man defense on May 29, 2014 by admin. The book actually has 15 variations of the Flex Offense (not including the original Flex Offense) all explained in diagrams and text. If you’ve always wanted to run the Flex but felt it really didn’t fit your players, then this is the book for you. You will find a Flex variation that will fit your players. Give your team a chance to win with a Flex Offense VARIATION!!!! This entry was posted in BOOKS, Flex Offense, The Flex and tagged basketball flex offense, coaching basketball on May 28, 2014 by admin. 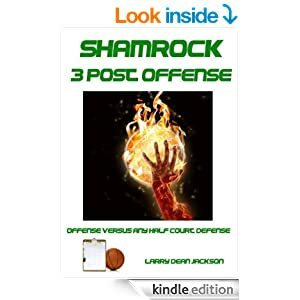 This book is loaded with PASSING and DRIBBLING drills. Passing and receiving is a lost art in todays game. This book has some of the best passing drills you will find anyplace. Forty pages of Ballhandling (passing & dribbling) Treasures. Eliminate those turnovers! This entry was posted in BOOKS, Drills and tagged basketball drills, coaching basketball on May 27, 2014 by admin.